Honor the men and women who give so much to their communities, stepping in whenever they’re needed. This personalized firefighter frame commemorates a firefighter’s personal sacrifice and dedication. 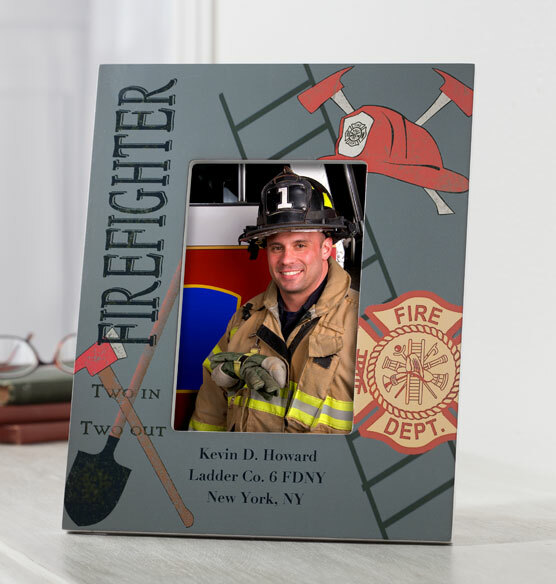 Perfect as a gift for a graduating class of firefighters, this decorative picture frame includes classic firefighting imagery and three lines of personalization. 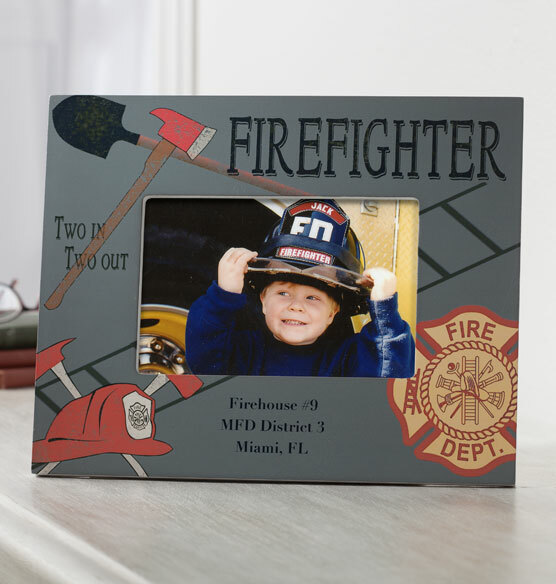 Personalize this decorative picture frame with your firefighter’s department name, graduation date or another personal message to create a one-of-a-kind keepsake.